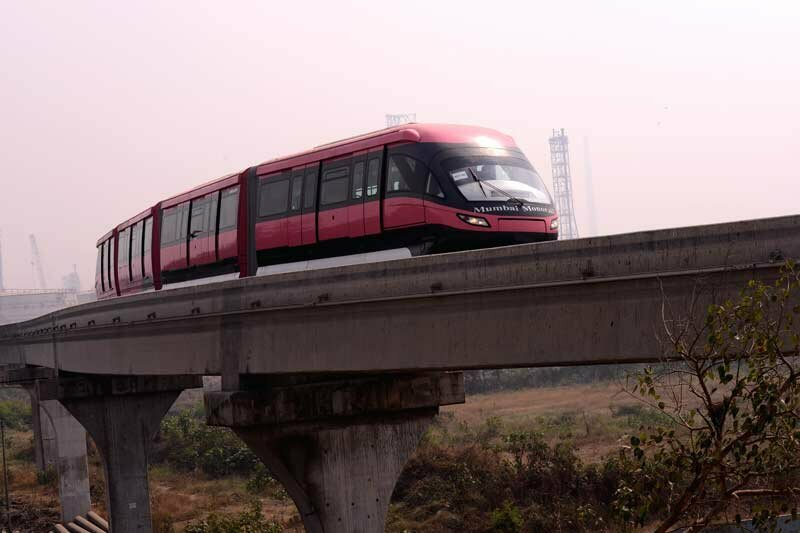 Mumbai Monorail opened to the public on 2nd February, 2014 and is India’s first Monorail System. Each train would have 4 coaches and carry up to 560 commuters. 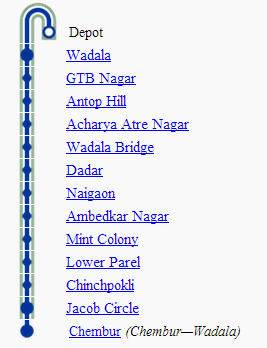 In its first phase, 8.8 Km line 1 would be functional between Chembur and Wadala. In the Second Phase 11.20 KM long Line 2 would run from Wadala to Sant Gadge Maharaj Chowk. Line 1 of the Monorail in Mumbai will run from Wadala and Chembur in the eastern part of Mumbai and would cover the following Stations: Wadala, GTB Nagar, Antop Hills, Acharya Atre Nagar, Wadala Bridge, Dadar, Naigaon, Ambedkar Nagar, Mint Colory, Lower Parel , Chinchpokli , Jacob Circle, Chembur. Mumbai Monorail would run from 6 a.m. In the morning till 8 P.M everyday at a frequency of 15 minutes.